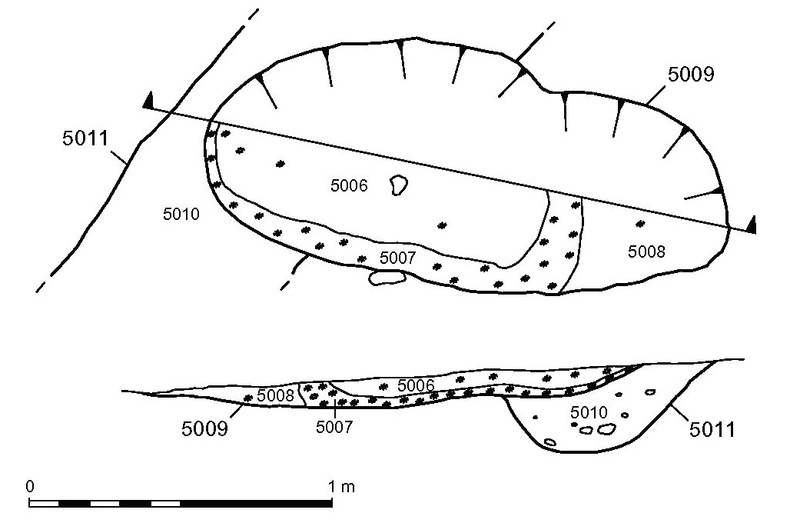 As part of a series of archaeological investigations ahead of the construction of a new school at LLanegryn in North Wales, Wessex Archaeology carried out a trial trench evaluation and later excavation. This located a number of small hearths which radiocarbon dating suggested had been in use during the early medieval period (8th-10th century AD). As no charred cereal or other plant remains were present within the hearths it is thought that they were used for charcoal making.